A great opportunity has arisen for a budding entrepreneur in the Exeter area looking to set up their own cleaning business. Merry Maids of Exeter has been an established business for over 20 years and is now on the market as the current owners are looking to retire. The business provides regular and one off cleaning services to customers within Exeter and the surrounding areas. 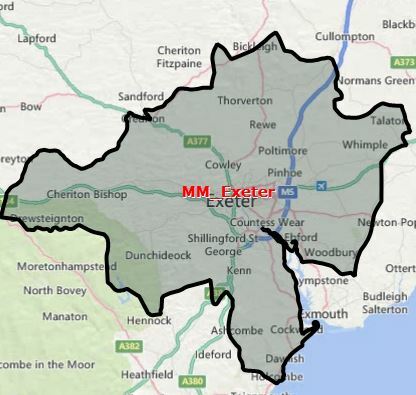 Merry Maids of Exeter has built a modest turnover over the years of approximately £50,000 annually. For this reason, the business will be sold as a vacant territory (£19,995 + vat) PLUS a customer database of regular customers (£POA). With the addition of a customer database turning over £50,000 annually. Throw in the investment of marketing, a fresh pair of eyes and the support of a franchisor with almost 60 years industry and franchising experience, we are confident that this business has the potential to grow quickly, but sustainably under the management of a new business owner. This really is an interesting proposition and won’t stay on the market for long so, for further details and financial information on the sale of Merry Maids Exeter, please contact us HERE.